Become Your Own Boss with an “Any Shed Installation” Franchise Opportunity. We offer Garden Shed Installation, as well as Summerhouses, Log Cabins and more..
At Pure Garden Buildings, we offer a professional installation Service taking the pressure off you. So if you require a shed installation in your garden or you’re an architect, Developer, business, School or Government body we can take care of the build process for you. Our installation service is available on a wide range of our garden sheds, summerhouses, log cabins, Garages, Greenhouses and more, please refer to product pages for availability. Simply Choose the “Assembly” option when placing your order or speak to one of our team to book your installation. After you have placed an order and booked your installation then the install team will be in contact to make the necessary arrangements with you for your install. Now that you have found your building and booked your install, there are some things to consider prior to delivery and install of your new building. If you don’t have a shed base and have not been supplied a kit, then you will need to prepare a base prior to the install. Please see our Shed Base Guide. Prior to delivery please ensure your required address has got suitable access for the delivery lorry. In order for our install team to install your shed, they will need suitable, clear access with no obstructions and enough room to lay out the parts and tools required for the build. The installer will also need to get all around the building to assemble it. For example: if you want a building sandwiched between two buildings or other boundaries then this will prevent the installers from being able to properly perform the task in hand. Click or tap image to increase size. How long do I have to wait for an install? The date for installation will be arranged with you by the installation team once a delivery date has been booked with you. We aim to carry out all installations within seven working days after delivery (this excludes Log Cabins). My install is due, what happens now? Fantastic stuff, your building will have already been delivered may be coming with the installer, if your building is delivered to you prior to the install date please check off the contents from the list on the instructions to make sure everything is present and correct. Although we try and make sure everything is perfect we are all only human after all, so we ask you to quickly check and get in touch if you have any concerns so we can sort them out before the installer arrives. 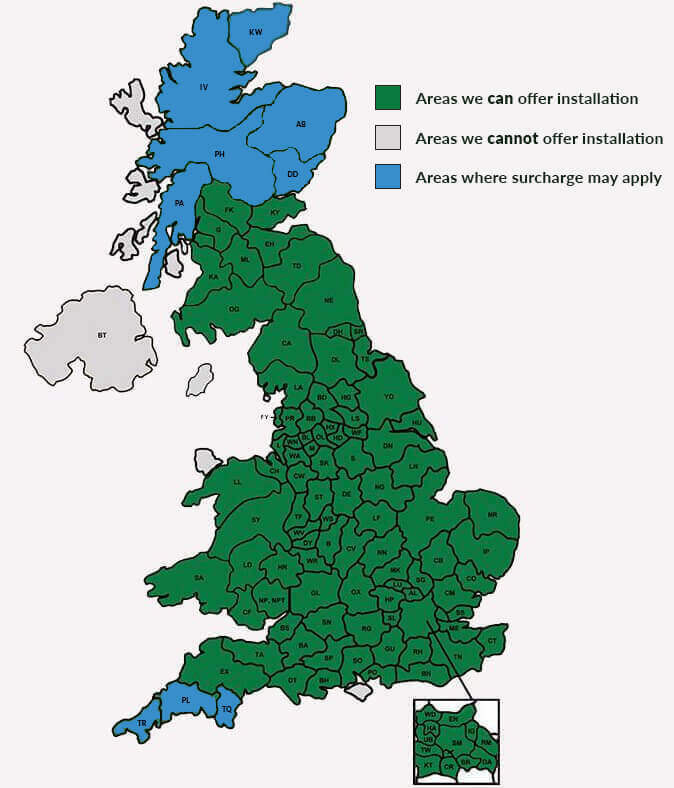 We will pre-book an installation date with you in advance if you are not able to be in or grant access, then please let us know in advance or arrange for a friend or neighbour to be there in your place. The installer will normally phone you the day before or the morning of your install date to check that everything is all still fine to go ahead (although we can not guarantee this service). My install is due today, what can I expect? Your installer(s) should arrive within the timeframe agreed (if there is an unavoidable delay then will notify you as soon as reasonably possible). When the installer/s arrive they will just double check that your base is suitable and everything is present for the installation, then they will start the erection process of your building for you. The installers will be happy to answer any questions you may have. If you want to oversee the build they are more than happy for you to be there. If you want to get on and leave them to it, they will be able to give you an estimated time that the install should be nearing completion. My installation is complete, is that it? Yes, you’re good to go! The installer will do their own checks of the building and then ask you to have a look with them, they will show you the completed job, take some photographs and ask you to sign for their work. Get in touch! We’re more than happy to answer any questions about installation or anything else we can help you with.